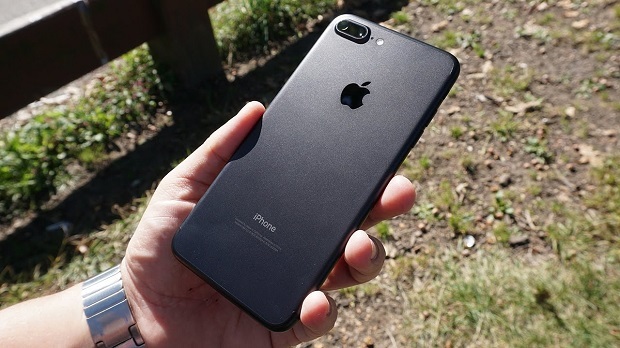 The #Apple #iPhone7Plus is currently the best iPhone model that you can get in the market today. This phone sports a 5.5 inch display making it great to use for various multimedia purposes. What’s probably the main attraction of this phone is its dual camera setup. This allows a person to take 2x optical zoom photos or take depth of field portrait photos. Although this is a popular model which is being used by a lot of people without any issues there are still instances when certain problems can occur which we will be addressing today. In this latest installment of our troubleshooting series we will tackle the iPhone 7 Plus static sound after software update issue & other related problems. Problem: I just bought a brand new iphone 7 plus yesterday. It worked fine until I did an update. Now when I make or receive phone calls there’s a loud static sound. It also sounds like the wind is blowing real hard. I am very dissatisfied and disappointed as I have read that I have to send my iPhone to apple. Any idea how to fix it? Solution: Your phone should not emit any static sound when making or receiving calls after a software update. What you should do first in this case is to force the phone to restart by pressing and holding the Sleep/Wake and Volume Down buttons for at least ten seconds until the Apple logo appears. Once the phone has fully started then you should check if the problem still occurs. If the issue persists then I suggest that you backup your phone data then do a factory reset. Make sure to set up your phone as a new device. Check if the issue still occurs. If it still does then you will need to bring the phone to the nearest Apple Store and have it checked. Problem: Recently noticed that when I watch a video horizontal the volume drops to low while vertical it plays loud, of course I have the volume high. And today for the first time, listened to music with provided headphone by apple and no sound from the right earbud. It is normal on the left. I know the headphones are good as I tested it on my wife’s device. So how can I solve this issue. Solution: The first thing that you should do in this particular case is to clean the lightning port of the phone using a can of compressed air. Make sure that any dirt or debris stuck in this port is removed. Once this is done force the phone to restart by pressing and holding the Sleep/Wake and Volume Down buttons for at least ten seconds until the Apple logo appears. Check if the issue still occurs. If it does then try using a different pair of earbuds. One last troubleshooting step that you should perform is a factory reset. Make sure to backup your phone data before doing the reset. Setup your phone as a new device then check if the problem still occurs. If it does then you will need to bring your phone to the nearest service center and have it checked. Problem: I am trying to change the sound on facebook messenger and it is not letting me do it. I have gone through the phone and it seems like this is the only thing i can’t change the sound too. Thank you for your help. Solution : Unfortunately right now there is no way to change the notification sound of the Facebook Messenger app in your phone.